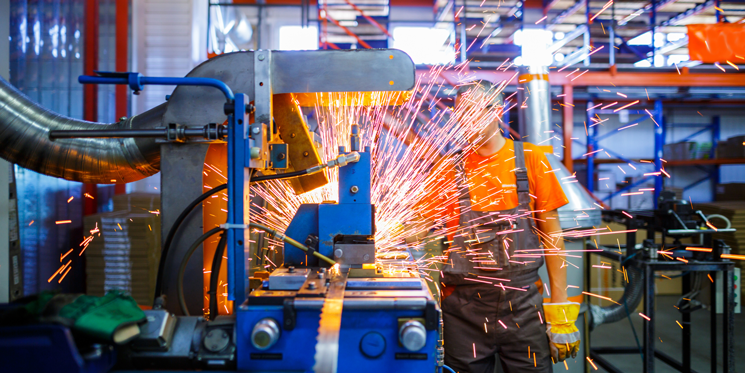 Manufacturing is an incredibly innovative industry, accounting for more than three-quarters of all private-sector research and development (R&D) in the United States (National Association of Manufacturers). But manufacturing is also incredibly competitive. Factors such as global competition and Industry 4.0 mean it is essential your sales process keeps pace with your R&D, or you risk leaving customers in the dark; especially considering the sales experience drives 53% of customers’ buying decisions (Colin Masson). One area you may not have considered the use of technology in is your manufacturing sales process. Many manufacturing businesses have traditionally relied on a direct or distributor sales force to generate growth. This approach simply doesn’t work as well as it did. The thought of redefining your sales process may evoke a feeling of dread. What is it going to cost? What if we lose business? Will we be able to adapt? But it doesn’t need to be like this. In this post, I will explore how to use HubSpot tools to innovate your sales process, some of which are free and all of which are easy to use. I used to work in field sales and know how difficult it can be to keep up to date with emails, especially in the early prospecting stage of the process. HubSpot enables you to queue up personalised email sequences that get delivered automatically so you can be prospecting while you are on the road. HubSpot will notify you if someone opens the email, clicks a link or responds, and the sequence will automatically stop so there is no danger of emails being sent if they are not appropiate. If you ever find yourself re-writing the same email over and over, or worse still cut and paste from a previous version, you will love email templates. You can turn repetitive emails into templates with personalisation fields, so things like company name, first name etc… are pulled in automatically from the contact list. Emails can also be standardised across your company, as any HubSpot User can draw from the template library. A common problem in Sales is not knowing if a prospect has opened your email, so you don’t know when to time your follow-up. HubSpot Sales notifies you when a lead opens an email, so you can time your follow up to perfection. By knowing when your prospects are engaged you can focus your efforts on warm leads, while your sequences nurture those not quite ready to engage. Not only does HubSpot allow you to see when your prospect has opened your email, you can also upload documents, such as product brochures, pricing guides, eBooks, or proposals and receive notifications whenever your prospect views them, or shares them with a colleague. This gives you and your marketing team valuable insight into what content works well in driving your prospects through the sales funnel. The meeting tool synchronises with your Google calendar, Office 365, or HubSpot CRM and allows prospects to book time directly into your diary at a mutually convenient time by clicking on a link in your emails, or on a form on your website. This saves a lot of back and forth checking availability. The HubSpot CRM pulls together all information on your prospects into their contact card. You can see all website, email, calls and social activity in one place. The Deals tool gives you total visibility of your whole pipeline. You can sort deals won and lost, appointments scheduled, and contracts sent over any time period, and track performance against quotas you set. This is very beneficial for manufacturers when it comes to quarterly production forecasts. Messages is HubSpot’s live chat function, available on HubSpot Sales Pro. It’s simple to set up and enables you to speak directly with your most engaged prospects in real time when they’re interested, asking questions, and active in the buying process. If the visitor is already registered in your CRM they will automatically be routed to the right sales rep, so it’s easy to build and nurture relationships as well as schedule follow-up tasks. Once you’ve finished the course and passed the exam, not only will you have a solid foundation in Inbound Sales, you also get a badge to display on your LinkedIn profile, email signature, and website. Demographics – if you are only selling to a particular niche, this may be location, age range, country etc. you can filter out people who do not meet this criteria. Company Information – if your ideal customer profile is of a certain size, type or industry you can give points to leads who fit in with your target audience and take points away from leads who aren't at all what you're looking for. Online Behaviour – how a lead interacts with your website can tell you a lot about how interested they are in buying from you. Have they downloaded your content, how many times have they visited your site, maybe they’ve stopped visiting your site altogether? These are all triggers for Sales to reach out. Email engagement – as covered above under email tracking. You can assign points to whether a lead opens your email or clicks through on a link. Social engagement – how engaged is your lead on social channels. Have they retweeted or shared a post? Have they clicked through to your website from social? If they have a large following on social, you can assign points to them for being potential influencers. Spam detection – this enables you to filter out leads who have given you false or invalid information in exchange for your content, such as a Google or Yahoo email address, or an incomplete name. Often, as businesses grow and evolve new systems are introduced. Different teams with different problems start using different software solutions. This product creep can lead to a disjointed experience for your leads and customers, possibly without you even realising. HubSpot's Growth Stack includes marketing, sales, and CRM software that covers your entire sales funnel. This means that you have tools to attract visitors, convert those people into leads, nurture those leads into deals, manage prospects, and delight customers all in one place. This will enable you to close the loop between sales and marketing, and track your entire marketing and sales funnel from first website visit to closed deal and beyond. You could set up all of these tools yourself or you may consider hiring the services of an inbound agency to help you to maximise the potential of the HubSpot platform.